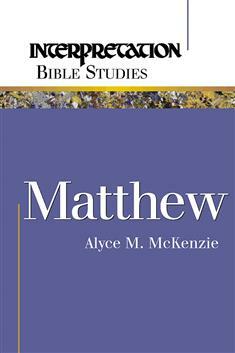 In this Gospel, Matthew tells the story of Jesus, who is the presence of God and has come to call the faithful to a new level of righteousness. He challenges his disciples to live each day as participants in God's kingdom-- be poor in spirit and pure in heart, turn the other cheek and love one's enemies. Through his teachings and healings, Jesus breaks the bonds of evil and sin and frees each one for a life rich in celebration and service. By his resurrection, Jesus continues to be present, even until the end of the age.